Contracts contain a wealth of data that can provide contract managers with valuable insights into their processes. Dates, numbers and other data points can be used to create key performance indicators (KPIs) and establish benchmarks for evaluating performance. Here are six common KPIs that your organization can leverage to measure and optimize your contract management processes. 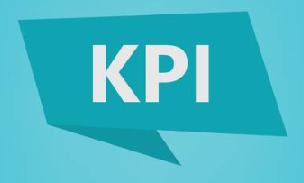 Download our complete whitepaper on Contract Management KPIs. From the initial client discovery meeting to the execution of a signed contract, the number of days involved can vary across industries, types of contract and unique client situations. However, every organization needs to determine an acceptable cycle time from contract initiation to signature across its different divisions. It may not be appropriate to hold a contract project focused on M&A to the same standard as one focused on a patent. Make sure to identify trends by type of contract, geographic location, or any other relevant characteristics to your industry. Use your contract management system to find out past number of days to complete contract lifecycles and determine an acceptable range. By having a number to strive for, contract managers can keep track of whether they are on schedule and what processes they may need to accelerate or eliminate. Since delay in approvals can come from either side of the table, it’s important to make a distinction between the sources. While it can be easy to shift the blame on delay in approvals to clients, your organization should arrive at such a conclusion only after reviewing the data. By looking at facts, your organization can have an objective conversation with clients causing lengthy delays. Keeping number of days in delay of approvals and internal revisions to a minimum is essential so that contracts can keep within scope and budget. There are several best practices for wrapping up a contract lifecycle and one of them is to identify the number of milestones that were missed. Despite receiving a contract on time, a client may still be dissatisfied when the process had too many delays. Don’t wait until the end of the contract lifecycle to take action and be proactive by keeping tabs on the number of missed milestones. Providing an explanation in advance or making concessions to make up for those delays can position your organization for success when you conduct a client satisfaction meeting at the end of contract lifecycle. Using the counsel from your legal team, contract managers spend a considerable amount of time crafting the most appropriate clauses to minimize risk. However, all that hard work is thrown out of the window when an employee intentionally or unintentionally fails to include the appropriate clause or modifies a clause beyond acceptable ranges. To keep your organization’s exposure to contract risk within acceptable ranges, keep track of instances of deviation from pre-approved clauses and ranges. With contract management software, you can customize automated email alerts that notify the appropriate team member when a deviation takes place. This allows swift and timely action to rectify the situation or allow a one-time exception. Additionally, the person causing the deviation can be notified the next time they log in to the software, allowing for awareness of a potential and unintentional omission. The percentage of non-renewals is a very useful benchmark that allows you to find out the potential value leakage from existing clients. To get the most out of your marketing budget and lower your client acquisition costs, it is important that you retain as many clients as possible. In some industries, it may be acceptable for a certain percentage of contracts to expire without renewal. However, that percentage has a threshold that you need to establish in order to take corrective action. One way to keep that percentage in an acceptable range is to be more proactive in reaching out to customers as renewal dates get closer. Instead of waiting until a couple days before the contract expires, a contract manager could be notified a few weeks in advance about the renewal date through an automatic alert and invest the time in preparing a pitch for extending the contract and adding other services. Depending on the industry, your organization may be subject to additional measures of control for proper authorization of contracts and collection of signatures. In the rush to meet a strict client deadline, a contract manager may think about doing such procedures later. When that “later” never comes, problems can arise. Improper execution of any contract undermines compliance within your enterprise and can throw off budgets when the execution of those contracts hasn’t followed proper procedure. After reviewing these six KPIs, it’s easy to see that it would be very time-consuming to keep track of all of them in a paper-based contract management system. Automating reporting and other contract management processes is one of the many benefits of using contract management software. By having access to contract data in real-time, your team will become more efficient and able to cut down operating expenses.